The GR1 is my only bag, not because it's the perfect bag, but because it can be any kind of bag I need it to be. Every weekday, and some weekends, I strap the same thing to my back when I walk out the door. It’s second nature, and I feel lost without it in the same way you do when you realize you forgot your phone. It never used to be this way. 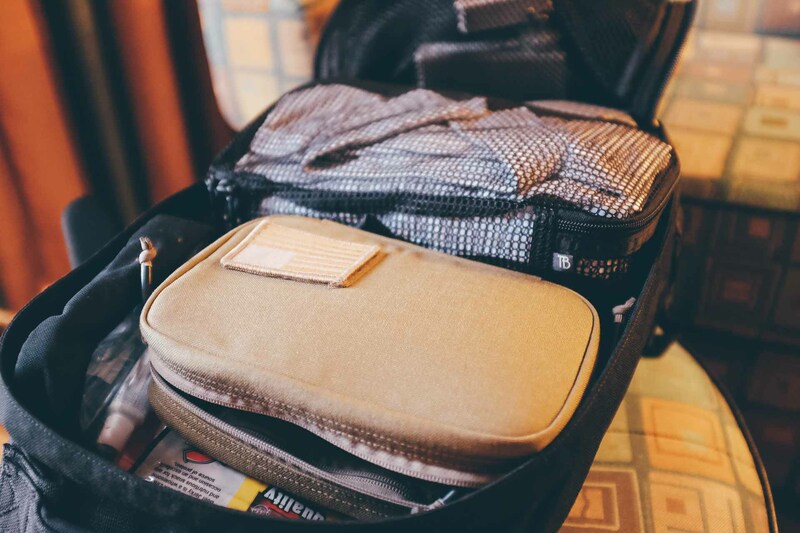 I used to stare at a cadre of bags, and carefully select the bag that I would use for that week, only then to lovingly pack it up. This constant switching took up a lot of time, and required a lot of mental overhead, as I always had to think about where something might be stored. I didn’t even realize the strain I was putting on myself until one day I showed up at work missing my ethernet adapter and needing it for a podcast. I eventually found it the next week while changing bags, stuffed in a random pocket of another bag. That’s when I stopped and realized that my entire system wasn’t working. I needed to simplify. To go from half a dozen bags to one. 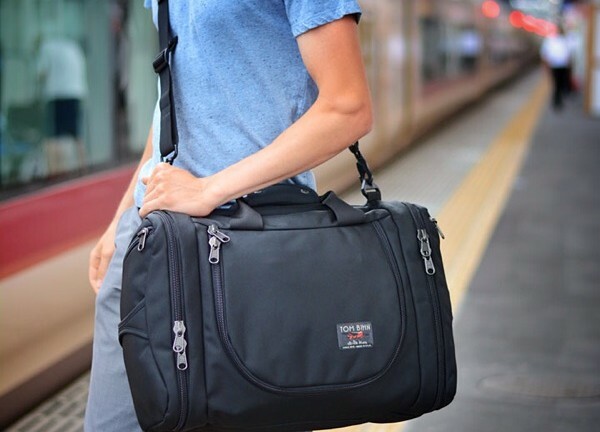 Going to just one durable bag for daily use and to take on trips is not an easy task. I pared my choices down to three bags, and then a month later down to two. Finally, after three months of trial and error I decided on one bag. I chose this bag a year ago and it’s still my only daily bag. The GORUCK GR1 became my bag of choice after trying a dozen different kinds. I picked the GORUCK GR1. 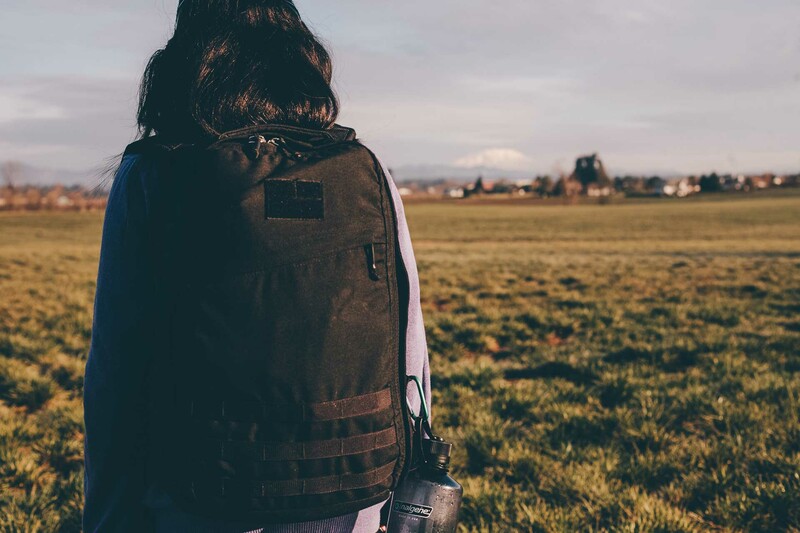 In these pages we have already told you how amazing GORUCK bags are with the GR2 — the younger, bigger sibling of the GR1. These bags are built to the same standards — and even look very similar — but they are entirely different bags. 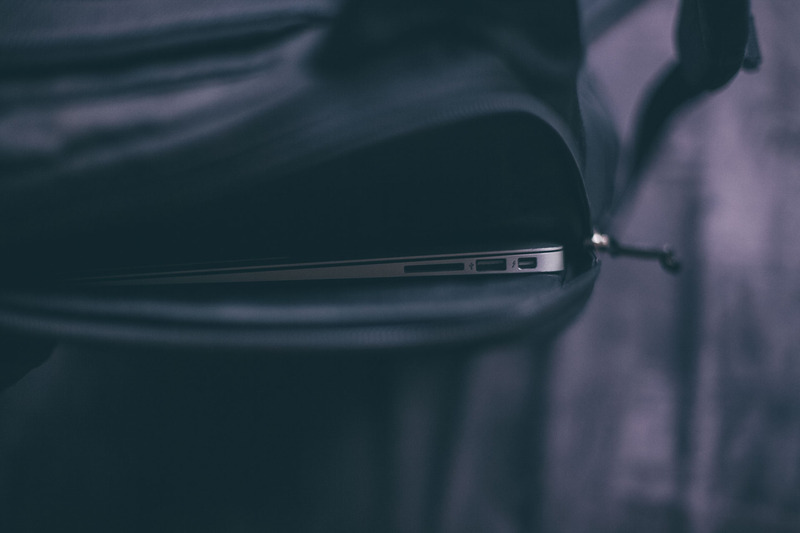 A MacBook Air tucked securely into an easily accessible GR1 compartment. 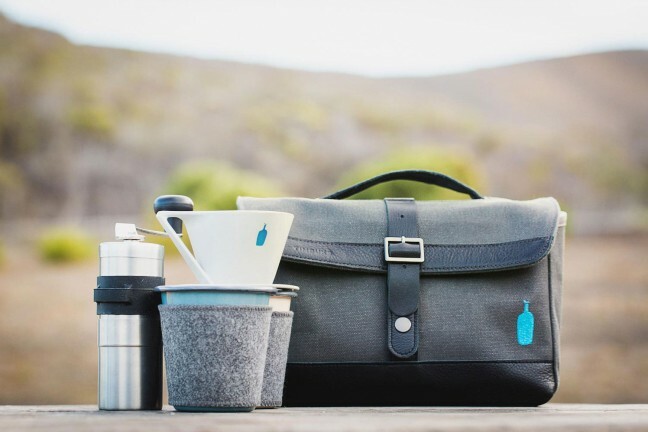 The GR2 is built for multi-day travel, whereas the GR1 is built for the daily drudgery. 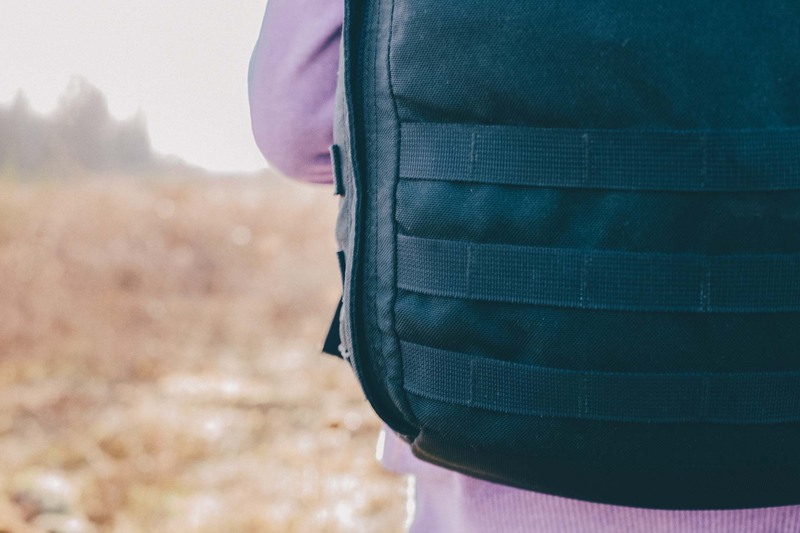 The GR1 has one main compartment, a laptop compartment, and a handful of secured pockets which are placed in a 27-liter backpack. There is also the GR0, which is effectively the same bag, but a touch smaller to fit people under 6 feet tall — so while this is a review of the GR1 the comments will equally apply to the GR0. 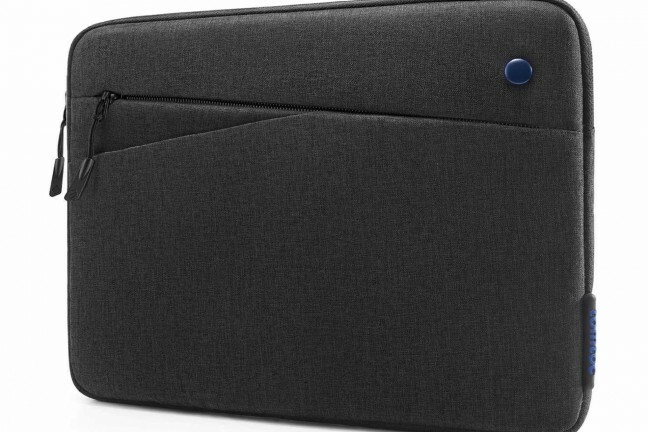 The laptop compartment isn’t a svelte cushy oasis for my MacBook like it is in so many other bags. The front pocket is hard to access when the bag is full. The bag is too long to put under the seat in front of you, especially when traveling in economy. There was no one thing about the GR1 that led me to pick it as my daily bag. However, there are so many small things that the GR1 gets right — things I know would annoy me if I hadn’t chosen the GR1. The GR1’s straps, although bulky, can have many different items attached to them. The most noticeable thing about GORUCK bags are the straps. They are thick, wide, and ready to have a great many things attached to them. I mention these straps because they were initially a big reason why I didn’t like the GR1. They are bulky, but, in practice, it turns out they are the best backpack straps I have ever used (that includes hiking specific bags) because of that bulk. 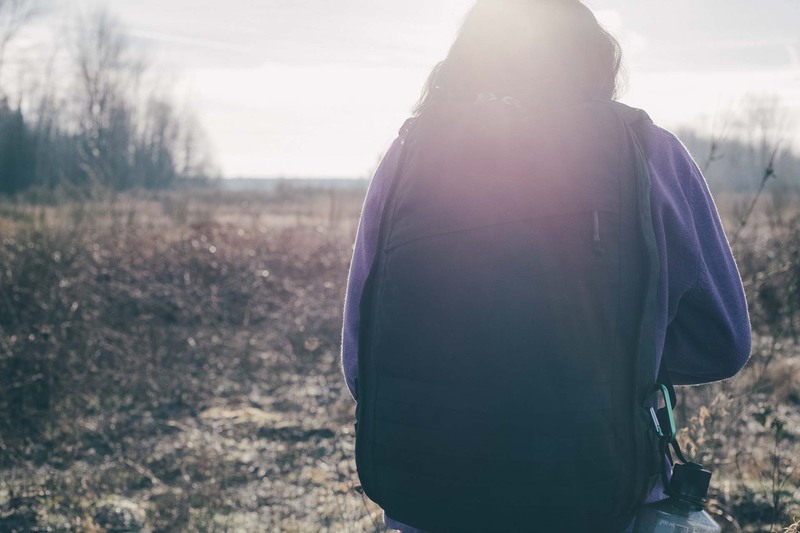 Often, with other bags, removing my backpack would cause an unzipped jacket to get partially tugged off my shoulder, because those straps were thin and contoured to grip my shoulder and to be snug. Thin straps are hard to manage manage, but I’ve never had that problem with the big, bulky GORUCK straps — they are easy to take off and don’t mess with my clothing. 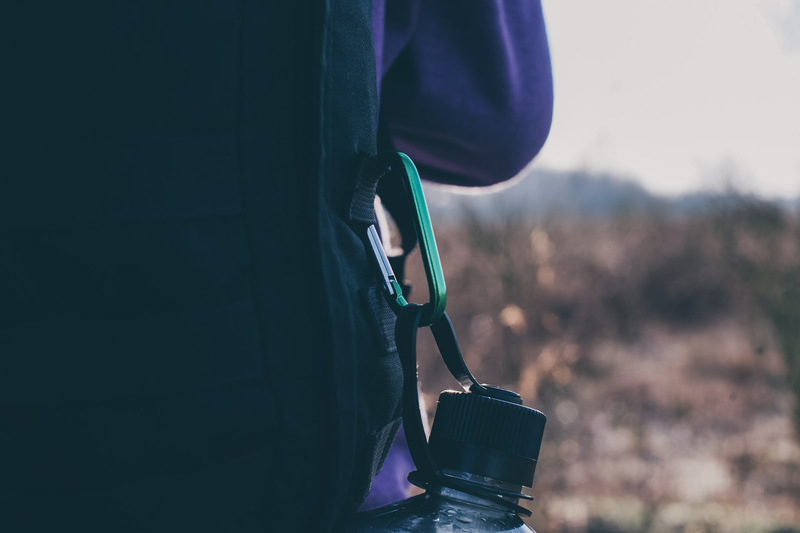 Attaching a carabiner to one of the straps allows for easy carrying of a water bottle or shopping bags. 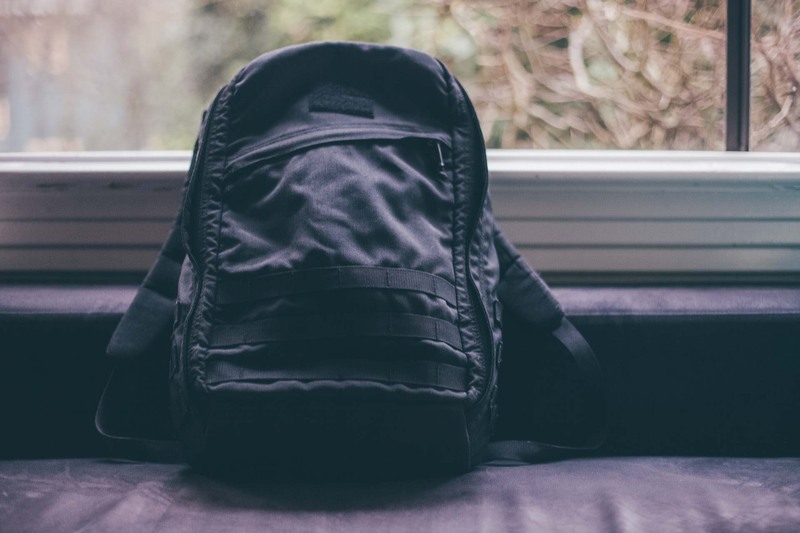 While such a specific problem may seem minor, think about how many times you are taking your backpack on and off and you can realize this isn’t a minor thing at all. 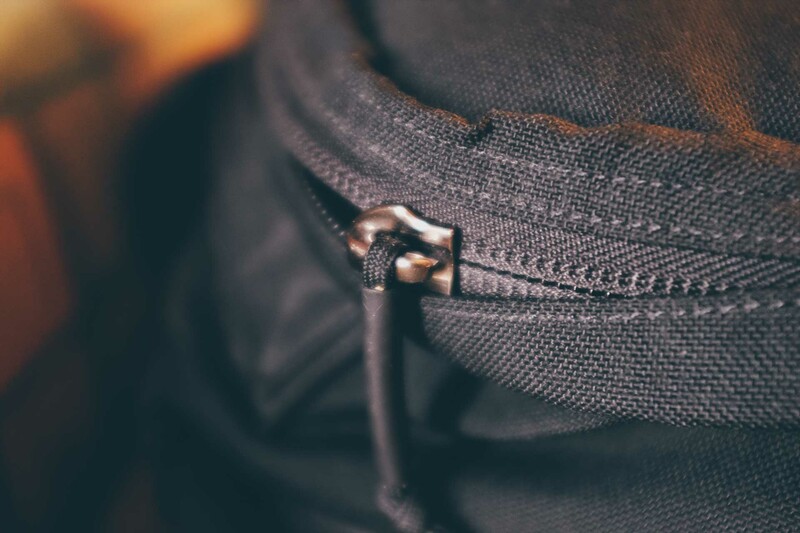 The GORUCK GR1’s zippers pull easily, but never get stuck or work themselves open. Seemingly minor annoyances, like the straps, are much improved or completely removed from annoyance on the GR1. I can get to my laptop without disturbing any other thing in my bag, and yet no one else can get to my laptop when I am wearing the bag. This is the perfect balance of security and convenience. I can unzip the bag and splay it flat open and find that little adapter that disappeared into the abyss. I can also live out of the backpack on overnight trips where I don’t want to disrupt my environment; I can open the entire bag and use it as a drawer instead of pulling out my belongings. I can keep a carabiner on the outside of my bag to attach something and keep my hands free — be it water bottles or shopping bags. The largest internal pocket is mesh, so I can see what’s in it and where. There’s no guessing, and therefore, I can find things much easier. The zippers never stick — they always pull easily, but never work themselves open. I’ve gone home many times with my bag half unzipped, only to find that nothing was missing and the zipper didn’t creep and let all the contents of the bag. The GR1 is the perfect bag for a short two day trip. 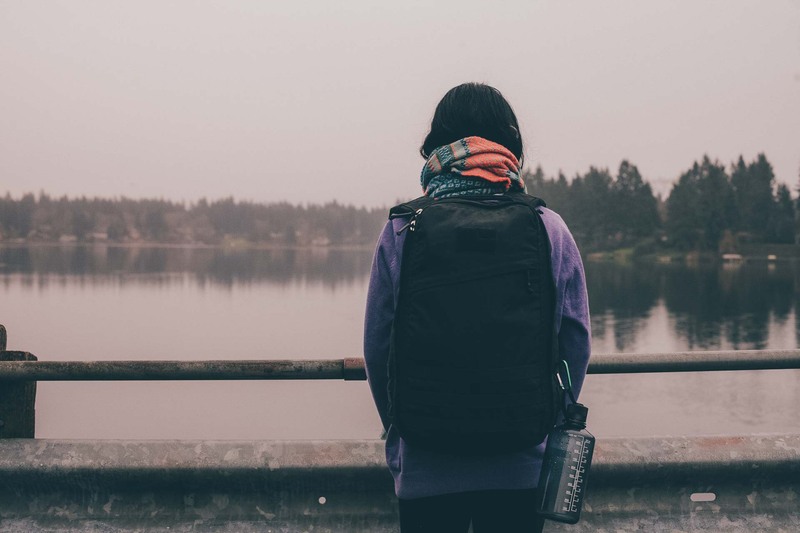 All of these features come with a bag that can hold a lot — two day’s worth of clothes and gear if you are a moderate packer and more if you pack extremely light. And still, the bag doesn’t ever feel huge. It doesn’t pull you backwards or feel stupid to wear when all you have is a laptop and charger. What makes the GR1 great is its versatility. I have no qualms about doing anything with this bag. I’ve taken it hiking and traveling, to on job interviews, and to the park where my kid saw fit to drag it through the mud. It still looks the same as it did when it was new. It still functions the same. Every little thing works. I can just as easily use this bag for clothes as I can bricks, as I can a laptop, or as I can with other delicate and expensive gadgets. The GR1 became my only bag, not because it was the perfect bag, but because it can be any kind of bag I need it to be. Never having to switch bags is a mental weight off my shoulders. The GR1 is as much a part of my daily gear as my iPhone or pocket knife. Anything that can’t fit in pockets goes in the GR1 and likely stays there. Even on days when I work from home I carry it to my desk to work.